Do you have a bucket list hike? South East Queensland has many great hikes. However there are few that are real must do hikes, but are challenging enough that few people even attempt them. To make this lis,t these hikes are walkable in a single day but also also fairly challenging so that most hikers would need to consider their ability and fitness before attempting any of them. What hiking challenge are you looking for? However every one of these hikes are well worth going on at least once. 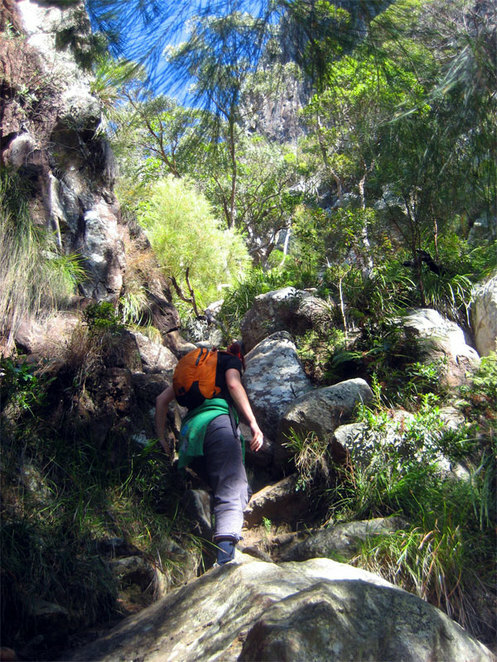 So if you live in South East Queensland and you like hiking why not put them on your bucket list to attempt. 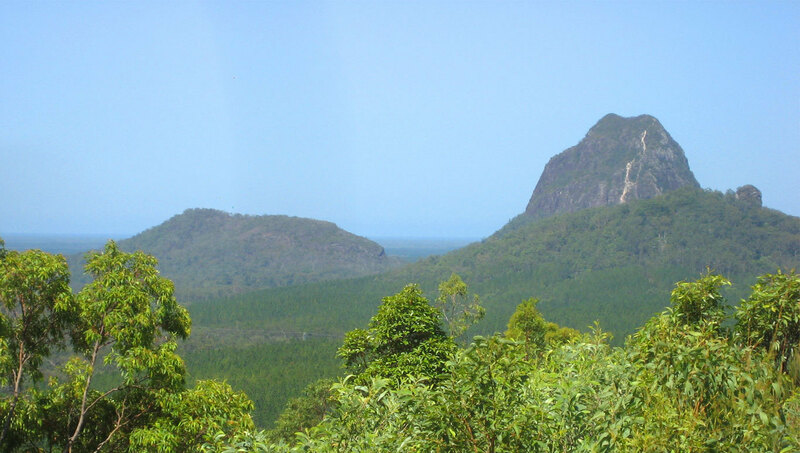 I realise that Mt Warning is not technically in Queensland but it is close enough to the border that it is popular with people in South East Queensland. This challenging hike is interesting enough by itself, but because the peak of Mt Warning is where the sun hits the mainland of Australia first, it is a popular sunrise hike. Most of the hike up is fairly steep but not too difficult until you reach the cliff face. There is a chain that makes pulling yourself up fairly easy and there are many hand and foot holds cut into the rock. Some people challenge themselves by not using the chain at all. The most important thing to remember is that it is cold on the top of the mountain. We went in the middle of summer and I still needed a fairly thick jacket on the top. Those aiming to climb in wiinter should take gloves for the chain. The main issues with this hike is that it is popular tourist destination and many hikers try the climb without being fit enough or leave late in the afternoon and don't leave enough time for the hike before sunset. Meanwhile locals use it as a favourite place to go jogging. Mt Maroon is the hike that most hikers attempt when they are ready to challenge themselves. The rough, rocky and unmarked trail leads to a near vertical section through a gorge, after which you then find yourself scrambling up over exposed rock to marvel at the magnificent views. Really worth the effort and not dangerous when you are prepared and take your time. 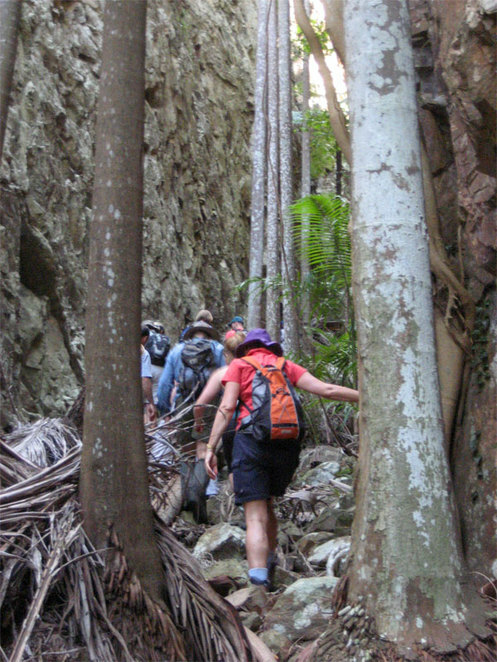 It is the hike that every serious hiker in South East Queensland wants to attempt. While not a particularly difficult hike it does take a certain level of logistics as it is 22 km one way, more if you take the scenic side paths and detours. 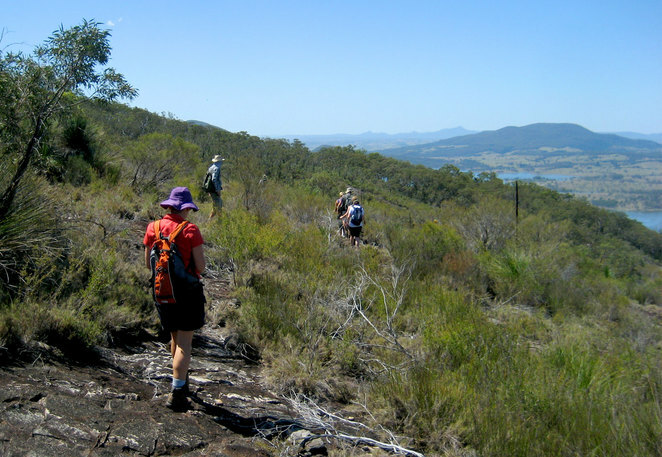 The generally accepted route is to the take the Border Track, which is part of the Gold Coast Hinterland Great Walk, however there are options to follow the Tooloona Creek and the Coomera Creek tracks. Both of these tracks take you through very beautiful rainforest and still link you back to the border track for the best views. Most people start at O'Reilly's and aim to end up at Binna Burra. It is possible to arrange a coach transfer from Binna Burra back to O'Reilly's. Other people solve the problem by getting a lift or by taking several cars. One option is to have two groups that start at different ends of the track and swap car keys in the middle. This hike is on most people's bucket lists though unfortunately it is still on mine as the track to the summit tends to be closed fairly often. 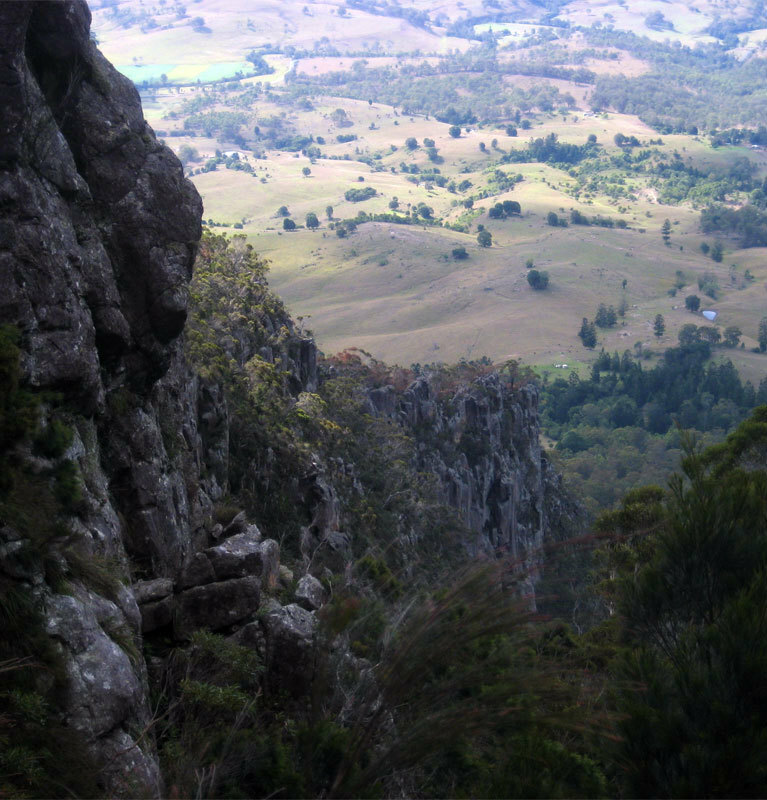 This is probably the most challenging mountain in South East Queensland that hikers regularly do. Though it is not for the feint-of-heart, numerous people that I know have made it to the top without much trouble. Mt Greville is a hike that unfortunately fails to get on most people's bucket lists despite it being one of the most challenging and beautiful hikes that I have been on. The main feature of Mt Greville are the two palm tree filled gorges that you can hike with very little scrambling. The top of the mountain provides great views of the surrounding area and there is a path along the ridge while many people favour as the way down the mountain instead taking the more difficult gorges. That's quite a neat list. I live in Victoria and often wonder about hiking in the heat and humidity. Even when it gets hot here, it doesn't usually bother me because it's dry heat. How do you fare in the humid climate when hiking?